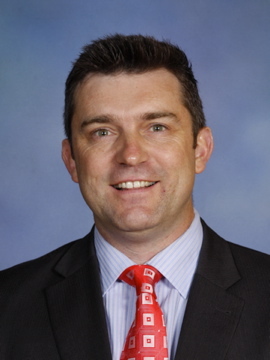 Dr Tim Kitchen is the Head of Learning Technologies at Strathcona Baptist Girls Grammar School in Melbourne. His Doctorate from The University of Melbourne was based on effective use of ICT in Education. Tim has a strong passion for encouraging ICT use (in particular multimedia) in all levels of education and promoting effective teaching approaches. He is a regular presenter at a range of state-wide, national and international education conferences, a member of the VITTA committee and he writes for a range of educational textbooks and journals. Outside of ICT in education, Tim has a strong passion for interfaith dialogue and coordinates the eastern region of the Victorian Building Bridges program. He is married and has a beautiful 9 yr old daughter. His other passions include video production, bike riding, watching and playing cricket and supporting the StKilda Football Club. Dr Tim Kitchen is the Head of Learning Technologies at Strathcona Baptist Girls Grammar School in Melbourne. He has a strong passion for encouraging ICT use (in particular multimedia) in all levels of education and he is a regular presenter and writer on issues sounding 21st Century teaching and learning.